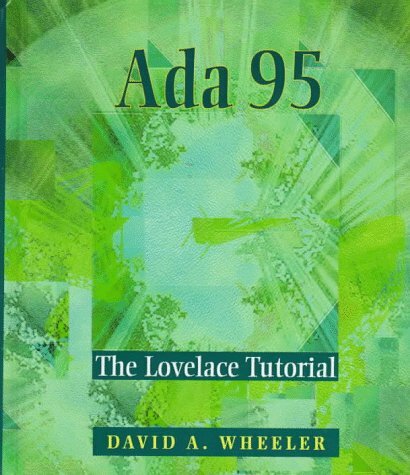 An introduction to Ada 95, one of the most widely used programming languages in the world. The reader is assumed to have a basic understanding of programming, no prior exposure to Ada is assumed. Each chapter is composed of short sections designed to cover key concepts and to provide a test question to check the reader's understanding of the concepts covered. Object-oriented facilities of Ada are covered in depth, and all of the essential features of Ada programming are covered thoroughly. This tutorial for C/C++ programmers shows them what Ada can provide and how to set about turning the experience they have gained in C/C++ into good Ada programming. It covers the Ada types, language constructs, Object Oriented programming, etc. This document describes the rationale for Ada 95, the revised International Standard. It introduces to Ada 95 and its features, gives a detailed account of the core language, covers the various annexes which address the predefined environment, etc. This book does not teach the Ada programming language, you should be familiar with Ada syntax and semantics. The author shares the experiences he has had using Ada in engineering applications. This text will help you avoid some common pitfalls.